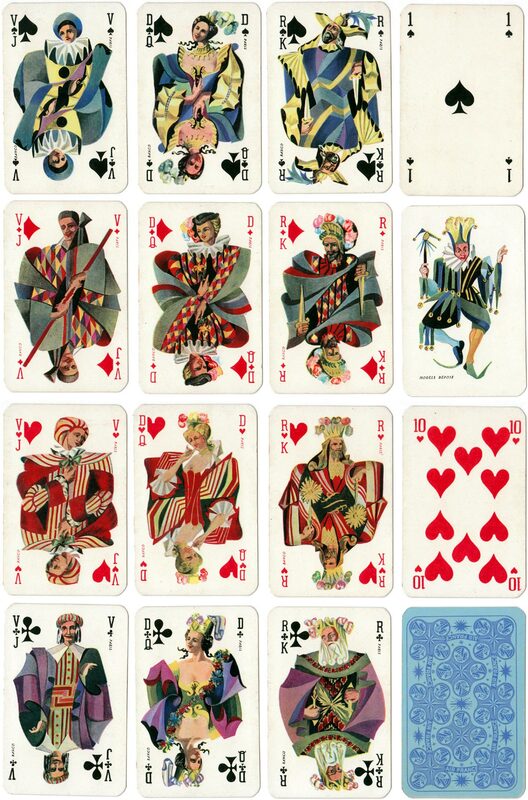 Artistic and colourful ‘Banco’ playing cards for Air France published by Havas and manufactured by Draeger Frères, c.1952. The court cards in each suit have distinct colour palettes. Above: Banco playing cards published by Havas for Air France, manufactured by Draeger Frères, c.1952. Double set of 52 cards + 2 jokers + 1 extra card in luxury box. Images courtesy Rex Pitts.